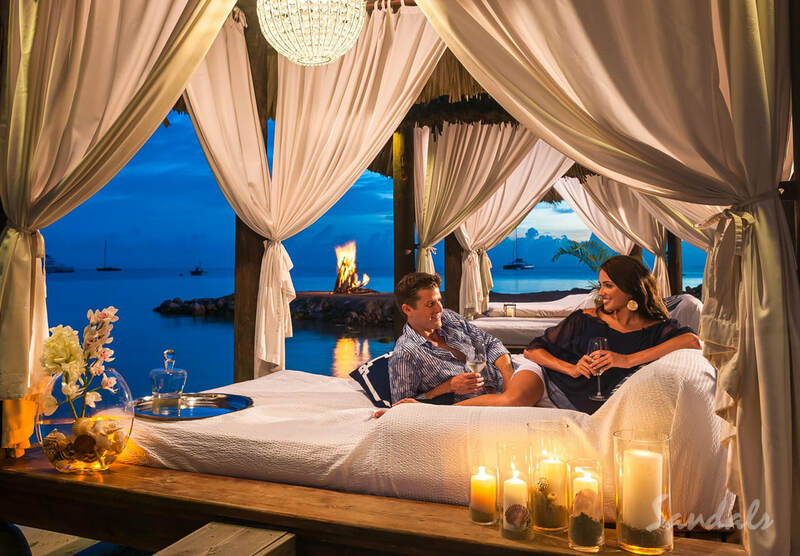 ​Sandals offers all the luxuries of a 5-star resort but even better, because you never have to worry about paying for a thing once you've arrived. Everything is included and unlimited. Extraordinary gourmet experiences created by world-class chefs. Bars that serve only premium spirits and Robert Mondavi Twin Oaks wines. The most innovative, sumptuous Love Nest Suites with chic appointments and lavish spa-style bathrooms. And every land and water sport, even golf, scuba diving and waterskiing. Only Sandals includes the finest of everything, which is why they've been voted the World' s Best 21 years in a row.